Decorating Christmas trees with candles spread from Germany to Scandinavia, the Nordic countries and North America. 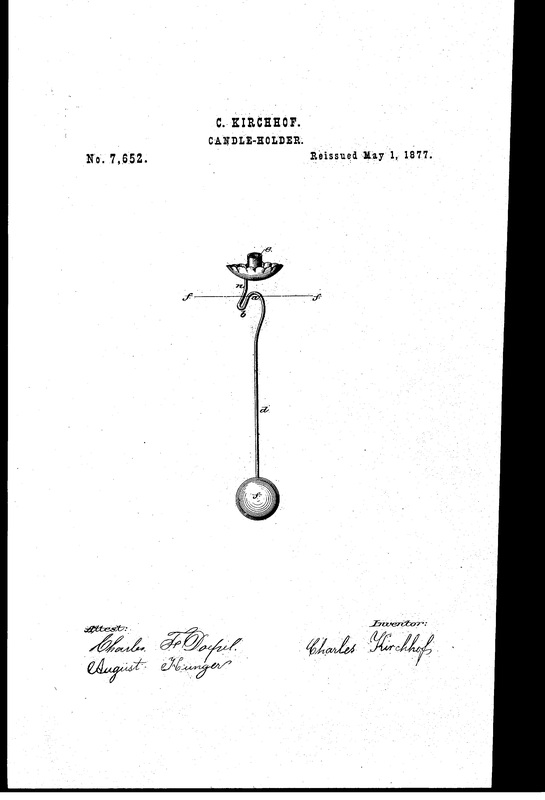 This patent, from 1877, shows one of the earliest counter-balance pendulum Christmas tree candle holders, with a ball or “Kugel” weight. From our collection of Christmas Tree Candle Holder Patents. Credit: www.christmasgiftsfromgermany.com.